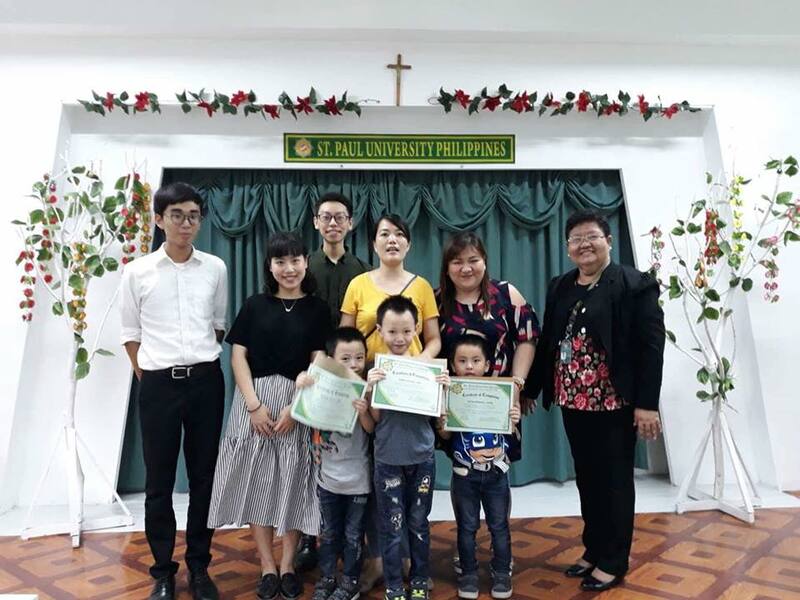 Chang Jung Christian University (CJCU) in Tainan, Taiwan sent three-student interns for a one-month program of teaching Mandarin to St. Paul University Philippines (SPUP).The third batch of interns, from the Department of Translation and Interpretation, were Huang, Yi-Cheng (|Daniel), Huang, Yu-Hsuan (Sharon) and Tang Chen (Tang). They taught Mandarin in the elementary, undergraduate and graduate school levels under the supervision of Dr. Jeremy Godofredo Morales (Director, International Relations) and Dr. Concepcion G. Doyugan (Head, Intercultural Institute for Languages). 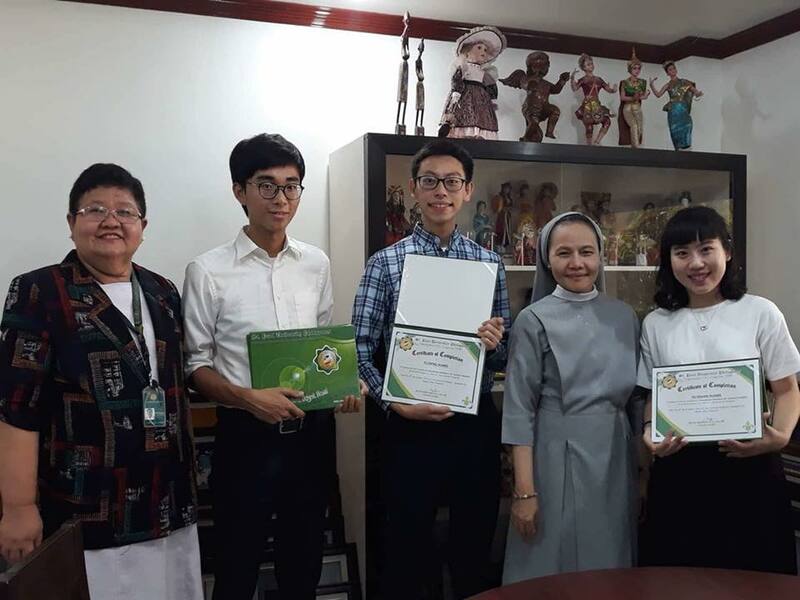 Sr. Merceditas O, Ang, SPC (University President) thanked them for spending their time in the Philippines, particularity Tuguegarao City, as she awarded them their certificates of completion. The interns also reported how blessed they were to have experienced students who were active, participative and who always have a ready smile. They felt the warmth of Filipino hospitality and hoped to be back next year for another visit.